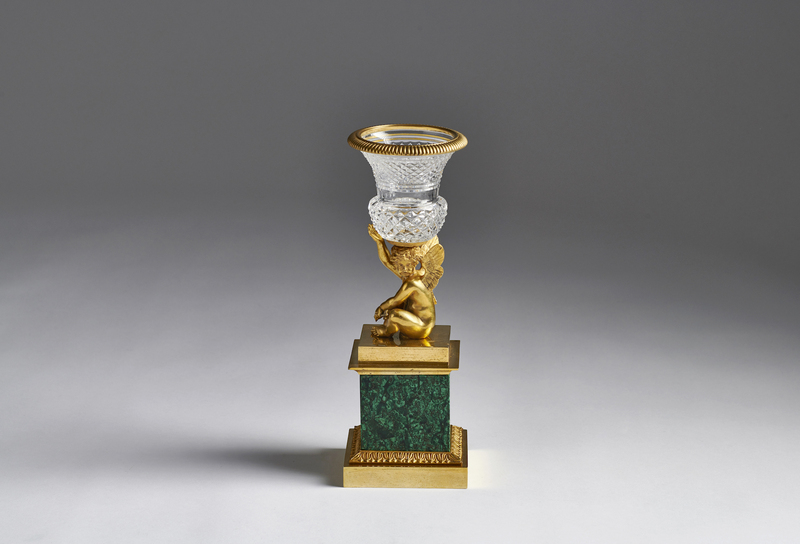 A cut glass ormolu and malachite vase, Russia circa 1825. 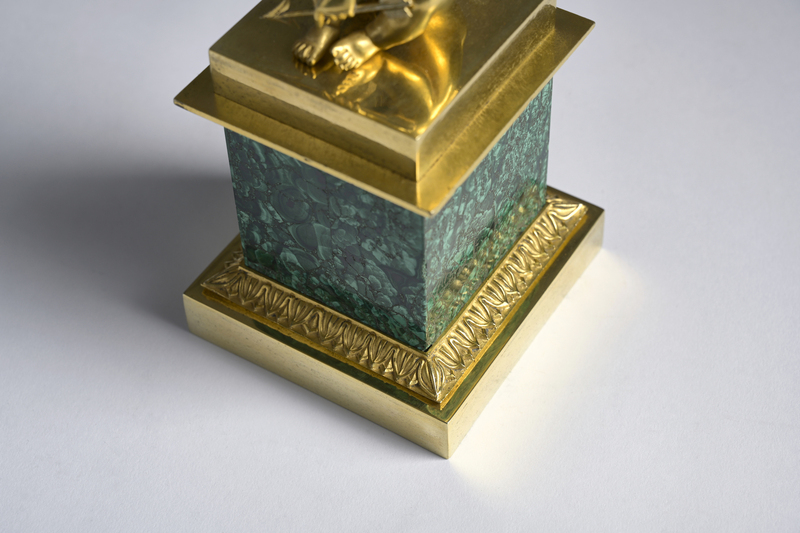 A seated cupid holding a arrow in his hand on ormolu mounted malachite square base. 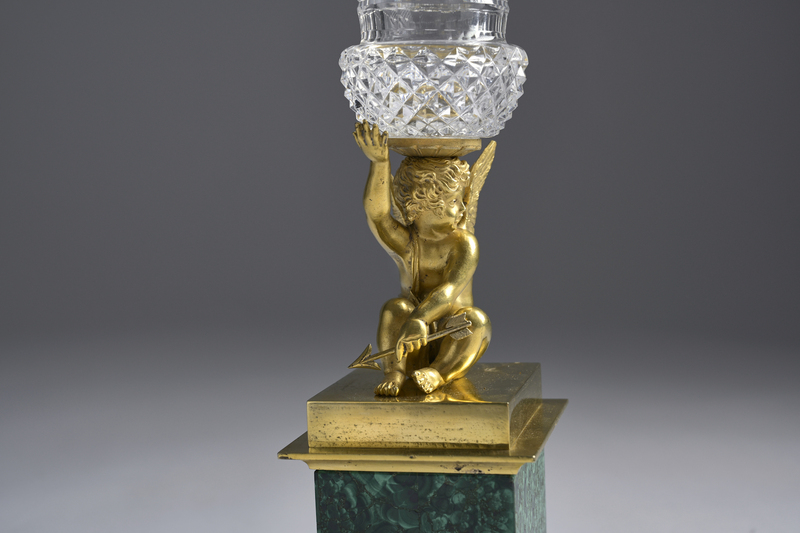 Terminating with a cut glass medici shaped urn.